There are some moments that take your breath away: gazing into the endless grandeur of the Grand Canyon with your loved ones by your side; sharing an awed silence over Bryce Canyon’s twisting sandstone spires and curious hoodoos. 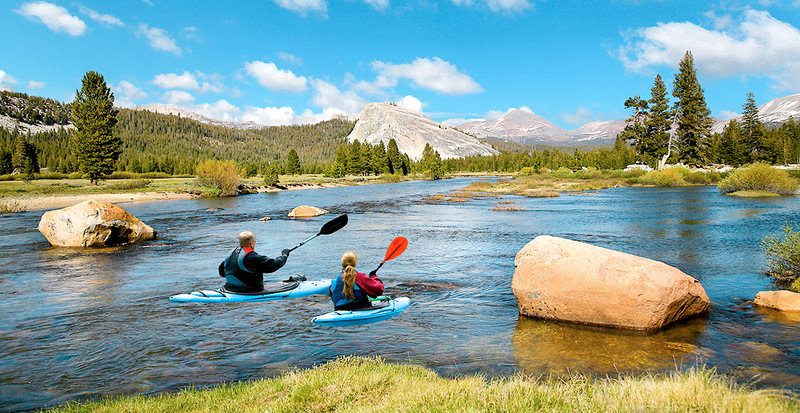 Make 2016 your year to explore America’s greatest landscapes — whether celebrating solo or exploring with your closest kin; witnessing their beauty for the first time or introducing a new generation to your favorite places. Let us inspire you with our expert insights and take you on an unforgettable journey with Trafalgar through treasured parks and iconic American communities. You’ll come away humbled by the magnitude of seven national parks when you travel on Trafalgar’s Scenic Parks Explorer tour — from the otherworldly formations of Utah’s Moab desert to the majesty of the Grand Tetons, contrasted with steaming geysers and bubbling mudpots of Yellowstone National Park. Travel Tip: The iconic image of Zion National Park is of majestic Zion Canyon, making for some of the most striking photographs. Led by your expert guides, the best way to visit Zion is to use two different park entrances to enter and exit: the western entrance brings you into the park through soaring canyons and valleys, while the eastern exit climbs out of the park, runs through a tunnel that is a feat of national historic engineering and takes you into the higher elevations. 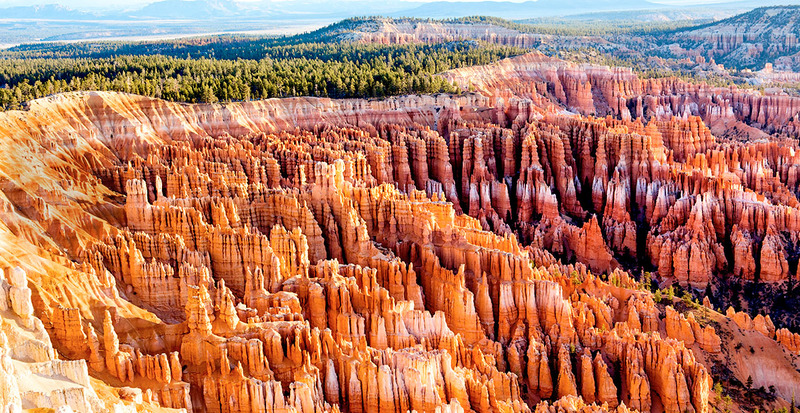 In southern Utah, Bryce Canyon elicits awed reactions thanks to the unusual hoodoos, pillar formations of vivid orange sandstone. For the best vantage point of these spire-shaped rocks without breaking a sweat, your guide will point you on a leisurely stroll along the canyon rim from Sunrise Point to Sunset Point, where your coach awaits your arrival. 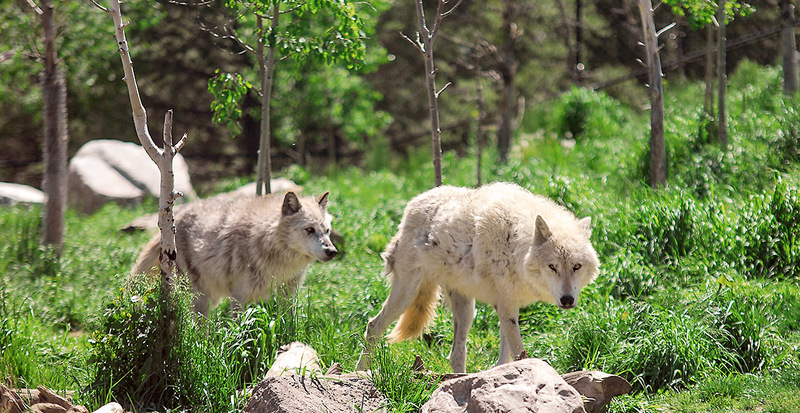 In Yellowstone, you’ll see twice as much wildlife between 7 a.m. and 8 a.m. than the rest of the day combined, including dozens of grizzly bears and wolves. That means the opportune time to explore Yellowstone is about an hour after sunrise, giving you an extra hour or two head start on most of the crowds. 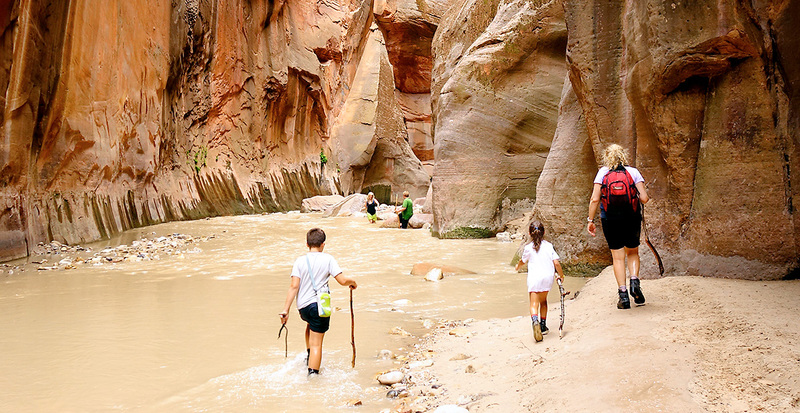 Traversing Colorado’s rocky peaks, Utah’s national parks, Mesa Verde and the Grand Canyon, the Best of the Canyonlands trip touches some of Earth’s most astounding natural structures. Travel Tip: An evening hike in Arches National Park not only bestows cooler temperatures, but the sinking sun sets the sky ablaze in a rainbow of hypnotic shades. 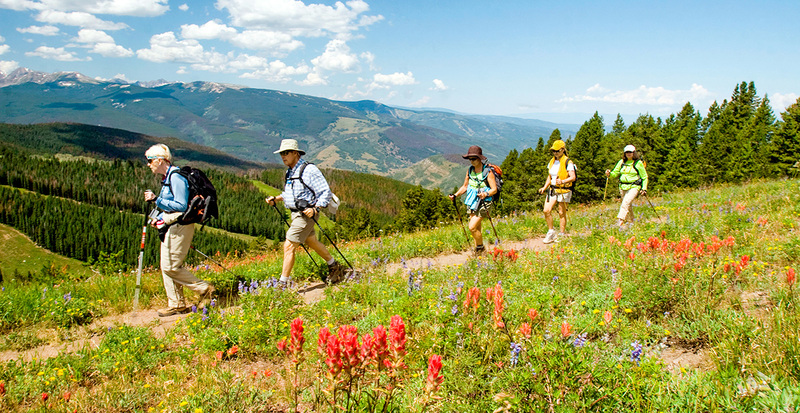 Gaze at the jagged peaks of the Rocky Mountains and immerse yourself in the charming alpine community of Vail before setting forth on your national park adventure. Though famed as a winter ski destination, this exclusive resort town seems to glow in summer months as a scenic gondola ride transports you to 11,000 feet for epic mountain views. Most people run straight to Delicate Arch because it’s the most recognized site in Arches National Park. 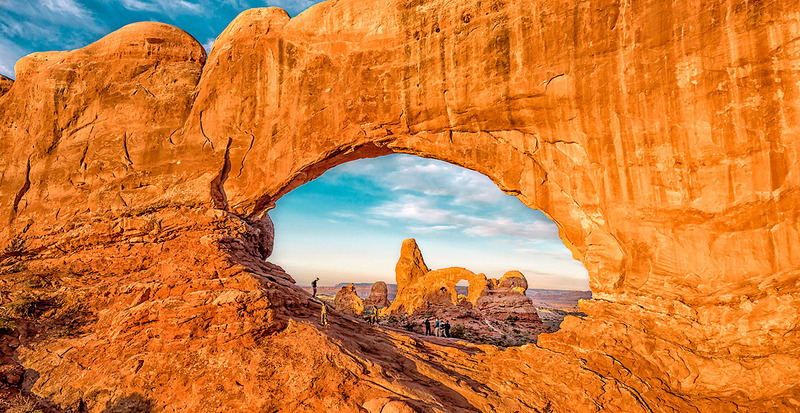 We recommend you avoid the crowds and visit Windows Arch and Turret Arch first for an entirely different perspective that reveals many of the park's large arches at once. 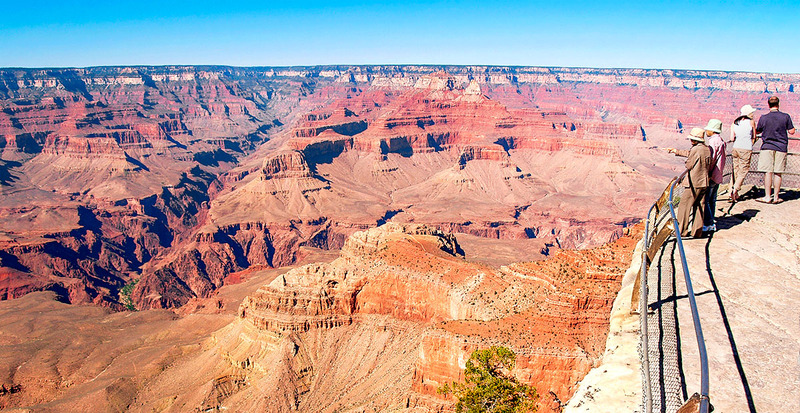 Take in the unequalled view of the Grand Canyon at sunrise, not sunset. There’s a secret spot in a rocky alcove that you'll have all to yourself, about 200 yards west of Mather Point, where most people crowd the rim of the Grand Canyon — it's just one of the many hidden off-the-beaten-path treasures you can relish on your journey. 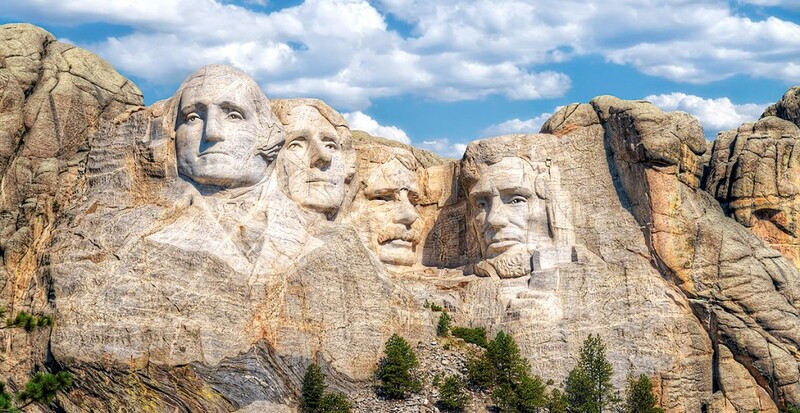 On a National Parks Wonders itinerary, glean a deeper understanding of historic Old West communities like Sheridan and Cody, Wyoming, and Jackson, Idaho, gateways to Yellowstone and Grand Teton, along with visits to the national monuments of Devils Tower and Mount Rushmore. Travel Tip: One of our favorite spots in Yellowstone is Mammoth Hot Springs, where cascading mineral terraces are formed from the area’s geothermal activity and elk roam in droves during late summer and autumn. The shoulder seasons of late May and early September are great times to visit the national parks since prices are slightly lower and the parks are not typically as crowded. Weather is a particularly fun topic in the national park of Yellowstone, because occasional snowflakes can be seen even in July — it simply fluctuates day-to-day and hour-to-hour inside a park larger than Rhode Island. 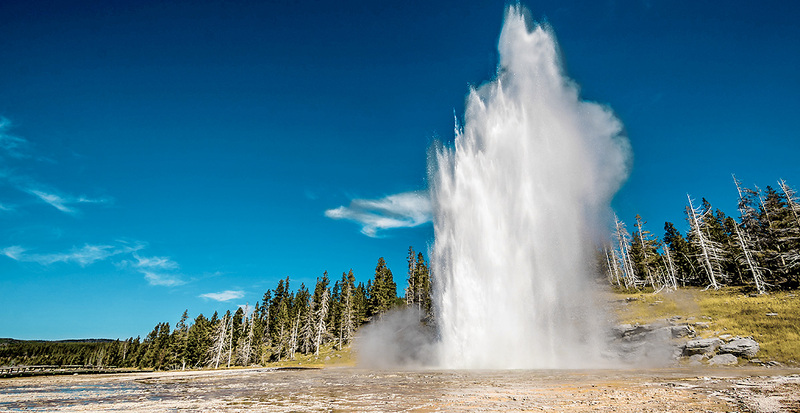 A geologist provides you with insight into how bubbling mud pots and steaming springs in the world’s oldest national park lead to incredible eruptions like Old Faithful’s 100-foot arc. Yellowstone also conceals plenty of lesser-known spots that brim with unexpected encounters. No matter whether you choose to explore America’s national treasures or venture to far-flung locales around the world, your journey promises deeper, more enriching encounters. Together with Trafalgar’s seasoned Travel Directors, we’ll put the focus entirely on you and your personalized experience. 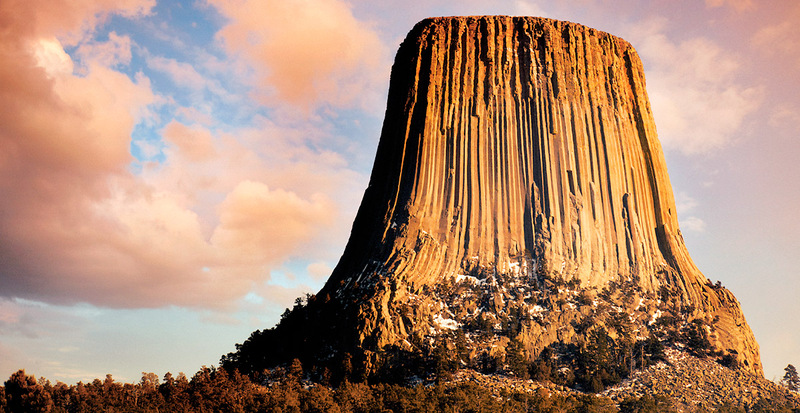 Contact us today to uncover even more secrets and special ways to explore America's national parks.